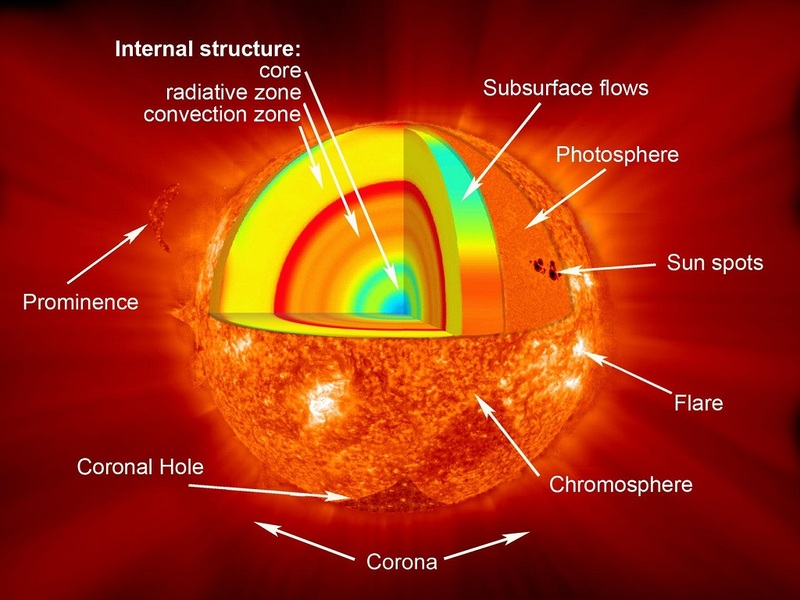 The chromosphere is a narrow layer above the photosphere that raises in temperature with height. Normally, it can’t be seen by the naked eye because the light from the photosphere of the Sun overpowers it. The coloring of the chromosphere (deep red) is caused by the immense hydrogen supply it contains.